Be the FIRST on the boat and book online! Trip reservations for 2019 are available online by clicking the “BOOKING” link. If you call us to reserve, we will be using the same online booking portal to make your reservation. We encourage you to use the online link to make your reservation and AVOID the busy signal! The New Buccaneer with Capt Matt Smith made the 12 hour deep sea trip. Customers returned with a nice catch of 445 vermillion snapper, 1 ling, 3 African pompano, 3 scamp grouper, 6 lane snapper, 2 rock hind grouper, 1 crevalle jack, and 3 bermuda chub. We are the innovators and original operators of catamaran fishing vessels in Galveston, Texas. Everything from rod, reel and bait to electronic radar equipment are designed to help make your fishing day a success. Our Galveston Party Boats crews are courteous and alert...standing by to help the novice or old pro to a better catch. Our boat captains will be sharing half a century of gulf prize fishing experience with you, experience that counts when you want to take home a prize catch! Deep Sea Fishing: A 12-hour trip (7:30am to 7:30pm). All tackle and squid bait furnished. 40-80 miles into Gulf of Mexico. Bay & Jetty Fishing: A 4-hour trip (8am to Noon and 1:30pm to 5:30pm). All tackle and squid bait furnished. 5 - 7 miles into Galveston Ship Channel. Deep Sea/Rig Fishing: An 8-hour trip (7am to 3pm). Tackle and squid bait furnished. 20-40 miles into Gulf of Mexico. 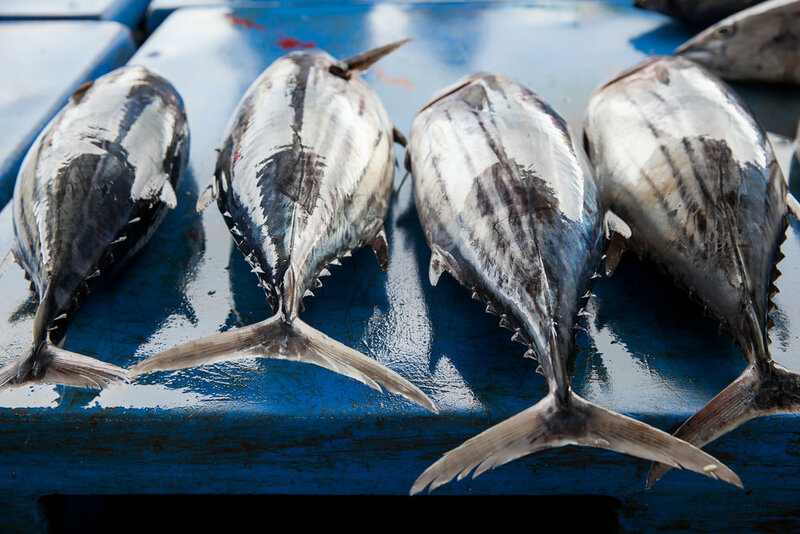 Safari/Tuna Fishing: A 25- or 30-Hour trip, 80-150 miles into Gulf of Mexico. We highly recommend booking online here. For Deep Sea Trips, payment in full is required in advance. Rail positions are assigned when reservations are made. For Bay Trips, parties of 4 or less may reserve and pay partial reservation; parties of 5 or more must pay in full.. To avoid deposit forfeiture, a three (3) day notice is required when cancelling or rescheduling any of our trips. 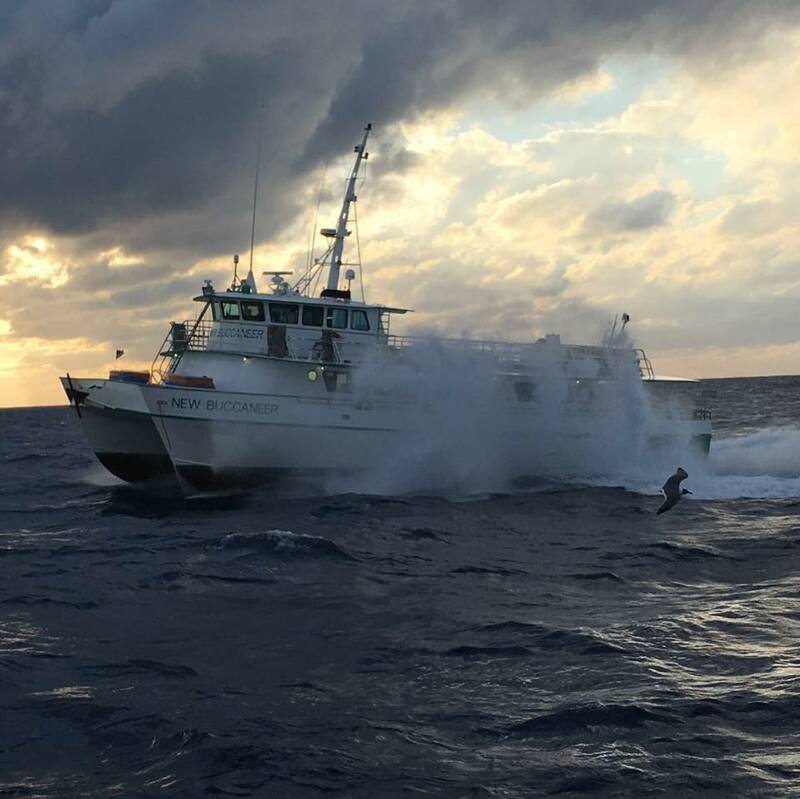 Seven (7) days is required for cancellations on the 25- and 30-hour tuna trips. Groups with no shows are not given tickets for the no shows. Rider customers are not allowed to keep a bag limit. During the peak season, it is very likely our boats will be full and trips are sporadic during the Fall and Winter months. Because of this, walk-up customers do not always get on board. All trips are WEATHER PERMITTING and also depend on PRIOR BOOKINGS to ensure sufficient reservations to justify trips. If you have reservations, it is always best to confirm before coming down. Most types of snapper are legal all year. 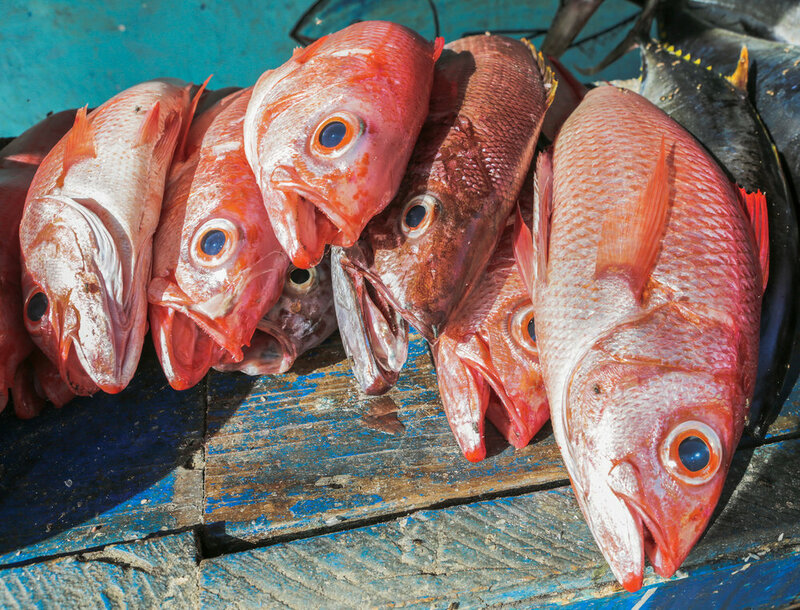 The Red Snapper season is set by the Gulf of Mexico Fishery Management Council and the National Marine Fisheries Service. Sign up for their newsletter / text alerts at www.gulfcouncil.org. The season opens and closes at the discretion of the Federal Government. Bag and size limits are subject to change and seasons are not always the same from year to year. Due to strict regulations, situations may arise where offshore trips may return prior to the scheduled return time. All Federal Regulations are strictly enforced. For safety reasons, alcohol, glass, hard and styrofoam ice chests, buckets, strollers, child car seats, chairs, or anything with wheels are NOT permitted aboard. SMALL (six-pack size 8x10x8 inches) soft coolers / insulated bags and one (1) gallon water containers are allowed with non-alcoholic beverages. All bags are subject to search and persons found with alcohol or contraband will not be allowed aboard and will not received a refund. NO LORANS OR GPS ALLOWED ONBOARD. Silly maritime superstition:no bananas allowed aboard (we know it sounds stupid). The Galveston Party Boats fleet includes the Cavalier and the New Buccaneer. The Cavalier is usually used for bay fishing and holds 86 fishermen. The New Buccaneer is usually reserved for our deep sea trips and holds 100 fishermen. All vessels are inspected and all Captains are licensed by the U.S. Coast Guard. Catamaran 85 feet long, 33 feet wide with 4 diesel engines. Equipped with advanced fish locating and navigation equipment, convenient grill and galley, his and hers restrooms, and sundeck. Click here for the New Buccaneer fishing spot layout. Catamaran 70 feet long, 30 feet wide with 2 diesel engines. 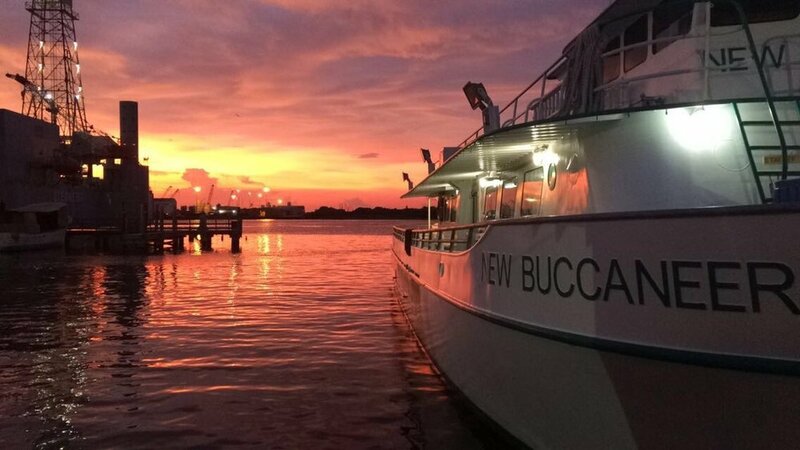 Equipped with advanced fish locating and navigation equipment, complete grill and galley, modern restrooms, and sundeck. Click here for the Cavalier fishing spot layout. Click here to download our galley menu! Beer is $2.50 a can and is available on OFFSHORE trips only, not on the 4 hr trips. For safety reasons, we closely monitor all alcohol consumption. Prices and availability subject to change, as we contract out our galley. Cash only for purchases onboard the vessels. Private charters: Ask about our special menus! We will be happy to set up a phone call with our galley manager to discuss pricing and options. Credit cards usually accepted for single private charter transactions. As always, we still allow you to bring on food and drinks in a six pack-sized, soft-sided cooler. Please no glass, alcohol, hard or Styrofoam coolers, or anything with wheels.